The crawl space floor joist plays a vital role in the construction of your home. A floor joist is one of the horizontal supporting members that run from wall to wall, wall to beam, or beam to beam to support the main floor. It may be made of wood, steel, or concrete; but most often it is wood 2″x8″s or 2″x10″s. Floor Joists are often supported by beams and sill plates on top of the foundation, and are usually spaced every 16″ on center. A weakened, damaged, or over spanned floor joist can have many problems that will require different repairs. The key to floor joist repair is to address the exact problem a floor is experiencing. Other companies will approach floor joist repair with a one size fits all approach, and it rarely will actually solve the problem. Warning: Be wary of any company that is talking about notching or ripping a floor joist to install them, they should be installed as their full size. 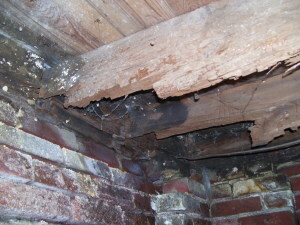 Problem: Floor Joist has wood rot or termite damage. Solution: Depending on how severe the dry rot or termite damage is in the joist determines how much of the joist may need to be replaced or reinforced. Most often, the floor joist end that sits on the sill plate has a minor amount of damage, and the joist can be repaired by sistering a new joist that is at least 4 feet out past any rot or damage in the joist. 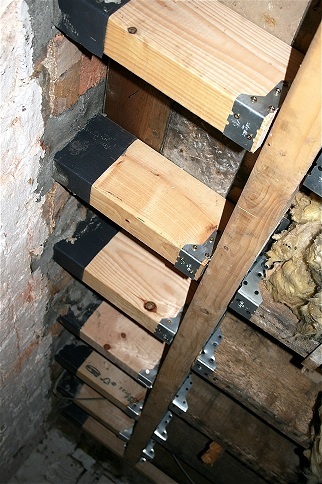 In severe damage, a new full length floor joist must be installed. Basement Walls Bowing? Horizontal/Diagonal Cracks? What Causes Basement Wall Failure? Poor slope or drainage around a building causes surface water to drain away slowly, thereby increasing water infiltration next to the foundation. Increased soil moisture conditions increase hydrostatic (water) pressures on basement walls. If the combined hydrostatic pressure and pressure exerted by the surrounding soil on the wall exceed the wall’s design capacity, the wall will crack, bow, lean, or shear. Clay soils are considered expansive when they have the capacity for extreme volume changes with fluctuations in water content. Expansive clays swell when wet and shrink when dry. Expansive, swelling clays against basement walls can exert lateral pressures on the walls of the magnitude of several tons per square foot. 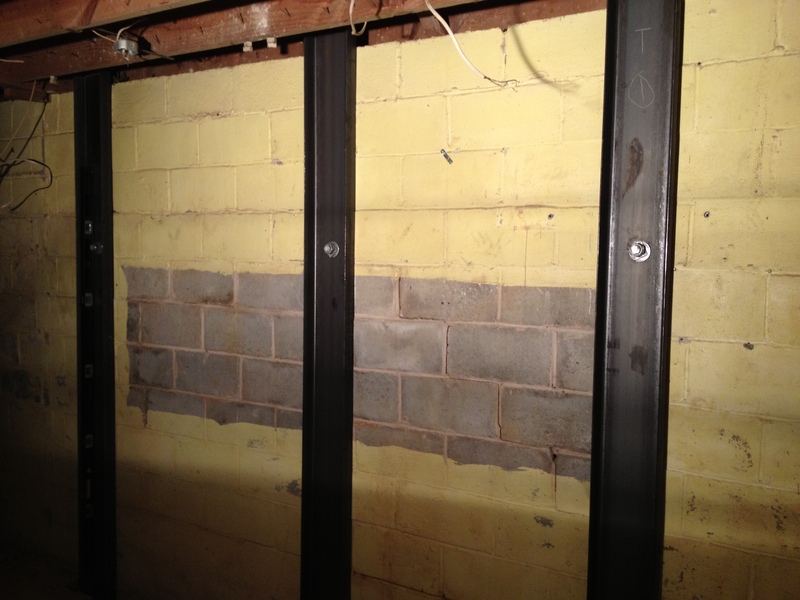 Foundation wall cracks can worsen if they’re left untreated, especially in the case of cinder block wall foundations. Any crack or opening in the foundation can become a passageway for water to enter the home. Additionally, because the foundation wall is literally cracked through, the gap will continue to worsen as the walls move and become influenced by pressure from outside the walls. One crack in the foundation walls will lead to another and no crack will ever improve on its own. All cracks should be repaired if they’re allowing water through, and even a hairline crack can be evidence of a larger problem and should be inspected by a professional immediately. Horizontal foundation wall cracks are potentially very serious problems that can sometimes lead to the complete failure of the foundation walls. These cracks occur when pressure builds against the side walls and forces them inward. Given time, this pressure can snap the walls, creating an enormous and devastating problem. If you detect any crack, call Affordable Basement Solutions for a free foundation repair estimate. Many options are available for foundation problems such as wall anchors and crawl space support beams that will competently repair your wall, contribute strength, and help prevent the inward movement of the walls, redistributing the weight to where the load can be better handled.